Superstar Award winners for 2015 line up for a picture at the reception in their honor prior to the CCEF Gala at South Shore Harbour Resort. They are, from left, CCISD Teachers of the Year Anthony Tran and Tonia Doerre Toque, Emmeline Dodd, Dr. Pat Wilson and Capt. Wendell Wilson. Attorney Joe Barlow, left, the George Carlisle Distinguished Service Award winner, joins Citizen of the Year Harv Hartmen for a photo with Ann Hacker, the Dennis Johnson Memorial Small Business Award winner at the CCEF Gala. 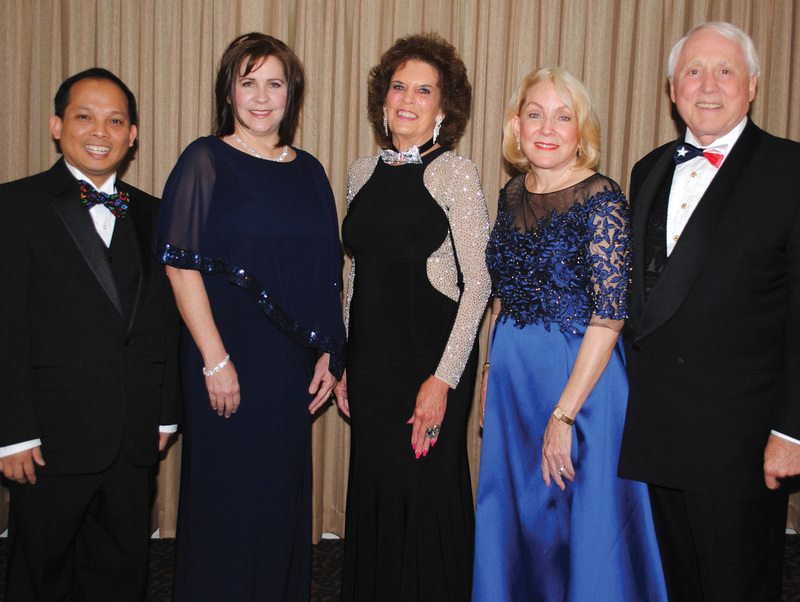 Ten outstanding Bay Area Houston community volunteers were honored by a crowd of about 400 at the 2015 Clear Creek Education Foundation Gala, held Nov. 7 in the South Shore Harbour Resort’s Crystal Ballroom. 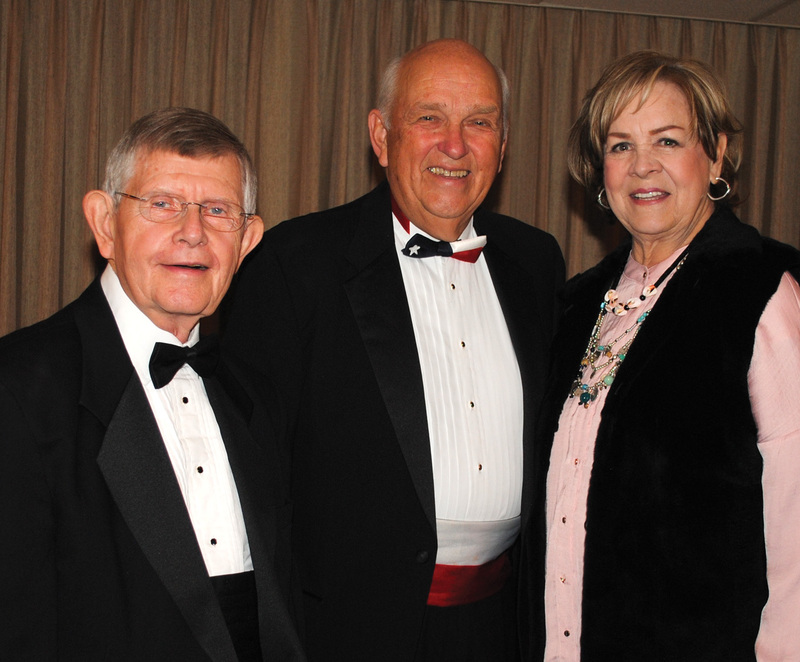 Attorney Joe Barlow was the recipient of the George B. Carlisle Distinguished Service Award and retired Johnson Space Center Human Resources Director Harv Hartman was named Citizen of the Year. Both were honored for their many contributions to the Clear Creek School District, the Education Foundation and the Clear Lake community. Ann Hacker, owner of Black Rose Steel, was named the recipient of the Dennis Johnson Memorial Small Business Award for her many contributions to community organizations and for her work as one of the founders of the Salute to Heroes Foundation. 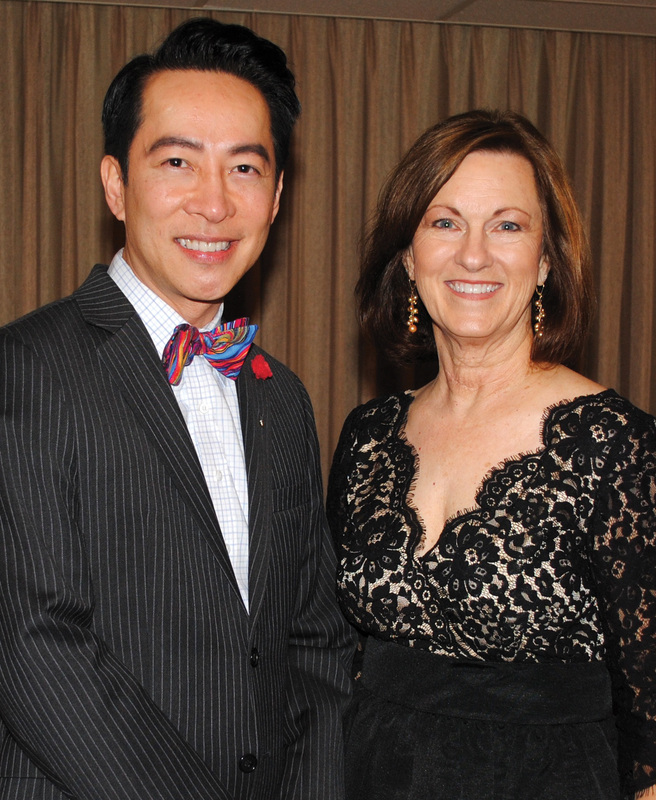 Distinguished Alumni honorees at the CCEF Gala, Bao-Long Chu and MaryLou Johnson, have known each other for a number of years. She was his teacher back in high school. Bao-Long Chu, Clear Creek graduate who arrived at McWhirter Elementary from Saigon as a child and grew up to be a poet and librettist, writing Bound for the Houston Grand Opera and serving as program officer for the Houston Endowment. Anthony Tran, Clear Falls High math teacher, who came here from Vietnam and was the CCISD Secondary Teacher of the Year and the Region 4 Teacher of the Year. 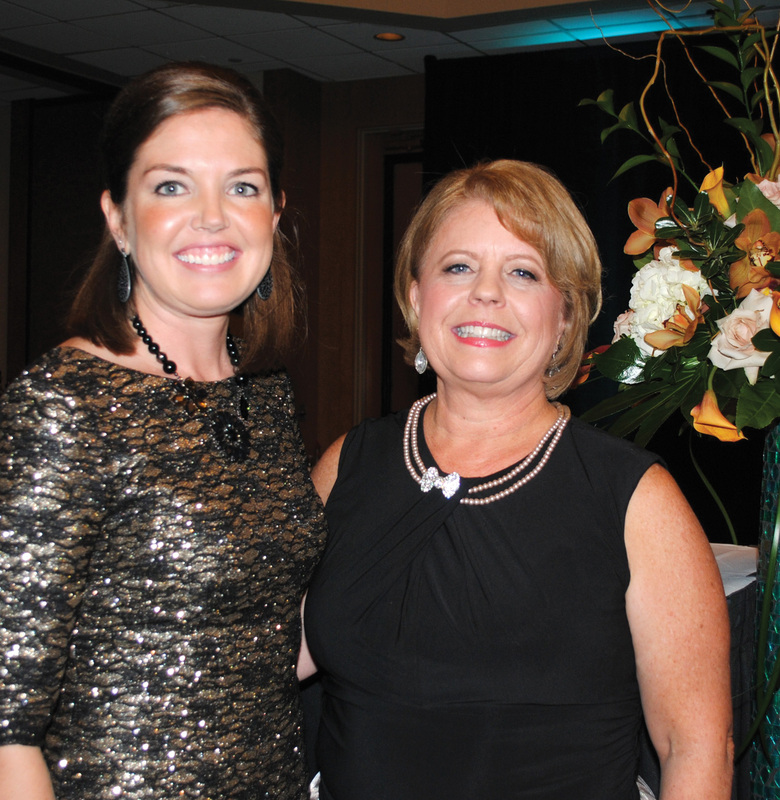 CCEF Executive Director Kaci Hanson, left, congratulates Gala Chairman Teresa Vencil on a very successful evening. Gary Renola, chairman of the Education Foundation, welcomed the crowd and introduced the emcee – Ch.2 weatherman Kambril Marshall, who kept the crowd chuckling all evening long. Even took photos of the honorees to show his friends back at the TV station. Teresa Vencil was chairman of the gala, heading a committee that included Janice Albro, Kim Barker, Katy Bastedo, Marshall Bennett, Kay Lee Benoit, Janet Brown, Annette Falks, Kimberly Fleming, Tisa Foster, Ann Hammond, Dinah Matthews, Joan McKinney, Donna McMartin, Sarah Moutz, Jill Reason, Marcia Vineyard and Elizabeth Wang. Faces in the crowd included Galveston County Judge Mark Henry, State Reps. Dennis Paul and Dr. Greg Bonnen and Harris County Attorney Vince Ryan, a 2011 alumni honoree.